British Columbia-bred electronic composer Teen Daze recently completed a lengthy European tour, but the trek ended on a sour note when he had a large sum of money stolen from his bag. As he explains in a lengthy statement, he was unexpectedly forced to check a bag in a Prague airport. When he later landed in Tel Aviv, he discovered that cash had been taken from the bag. While it wasn't the entirety of his touring income, the artist wound up losing several thousand dollars that he had acquired from playing four shows in the UK. He pursued legal measures to have the money reimbursed, but it was of no avail. 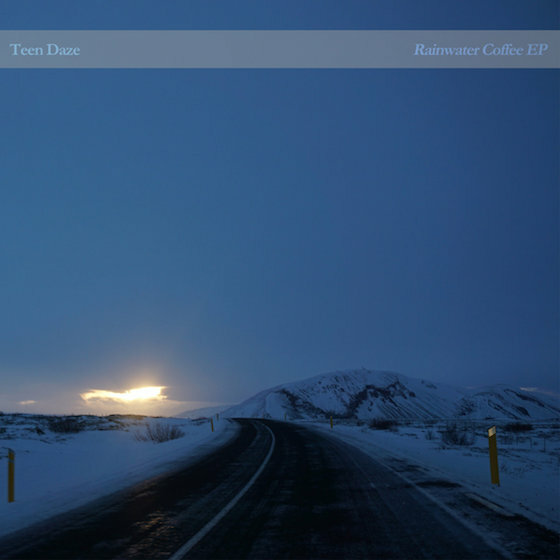 In an effort to recoup his losses, the performer has made his Rainwater Coffee EP available as a download on Bandcamp. The release was previously only available through Drip. Read a statement from Teen Daze below, and pick up a copy of Rainwater Coffee here. I just wrapped up a month long tour of Europe, and ran into a bad situation at the very end of my trip. I was forced to check a bag that I wasn't prepared to at the airport in Prague, and when I landed in Tel Aviv, I realized that several thousand dollars were missing from the bag. This cash was money that I'd received for playing four shows in the UK earlier in the trip. My manager and I pursued legal means to try to have the money returned, but unfortunately all avenues were blocked. Thankfully, the majority of income I received for the tour wasn't in the checked bag, but it was still a great enough loss to put a dent in my final income at the end of the tour. I, like most musicians, make a large portion of my money by touring, and when something like this happens it can be really debilitating. This release, which was previously unavailable to the greater public (it was an exclusive release through my Drip account), is my attempt to try to recoup some of the losses from this theft. It's such an honour and a blessing to get to pursue my love of music as a career, and I want you to know that any support you give is helping me to pursue that love even further. When/if the amount is recouped, I'll be happy to make this a free download to everyone. Thanks for your time, endless love.